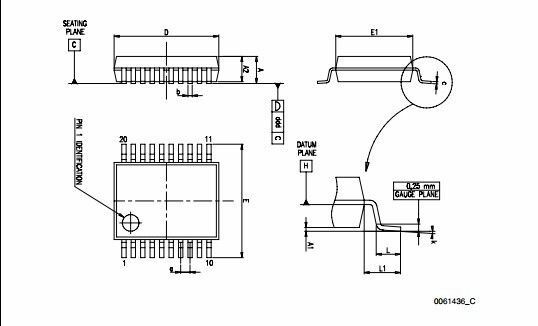 The M41ST87Y/W Serial TIMEKEEPER®/Controller SRAM is a low power 1280-bit, static CMOS SRAM organized as 160 bytes by 8 bits. A built-in 32.768 kHz oscillator (internal crystal-controlled) and 8 bytes of the SRAM (see Table 7., page 25) are used for the clock/calendar function and are configured in binary coded decimal (BCD) format. An additional 11 bytes of RAM provide calibration, status/control of Alarm, Watchdog, Tamper, and Square Wave functions. 8 bytes of ROM and finally 128 bytes of User RAM are also provided. Addresses and data are transferred serially via a two line, bi-directional I2C interface. The built-in address register is incremented automatically after each WRITE or READ data byte. The M41ST87Y/W has a built-in power sense circuit which detects power failures and automatically switches to the battery supply when a power failure occurs. The energy needed to sustain the SRAM and clock operations can be supplied by a small lithium buttoncell supply when a power failure occurs. Functions available to the user include a non-volatile, time-of-day clock/calendar, Alarm interrupts, Tamper Detection, Watchdog Timer, and programmable Square Wave output. Other features include a Power-On Reset as well as two additional debounced inputs (RSTIN1 and RSTIN2) which can also generate an output Reset (RST). The eight clock address locations contain the century, year, month, date, day, hour, minute, second and tenths/hundredths of a second in 24 hour BCD format. Corrections for 28, 29 (leap year), 30 and 31 day months are made automatically.